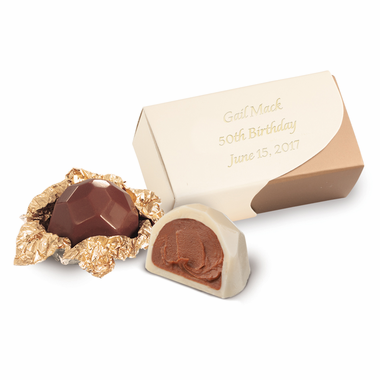 When you want to give the very best, hand out our chocolate birthday favors truffles. You can bet that guests of all ages will love them. 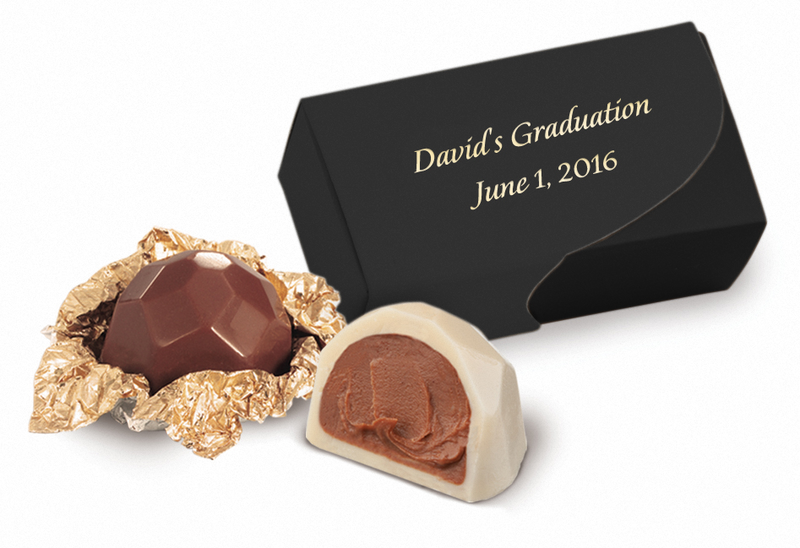 Each box of chocolate truffles favors is made to order with your choice of two flavors, as each ivory color box contains two chocolate truffles. 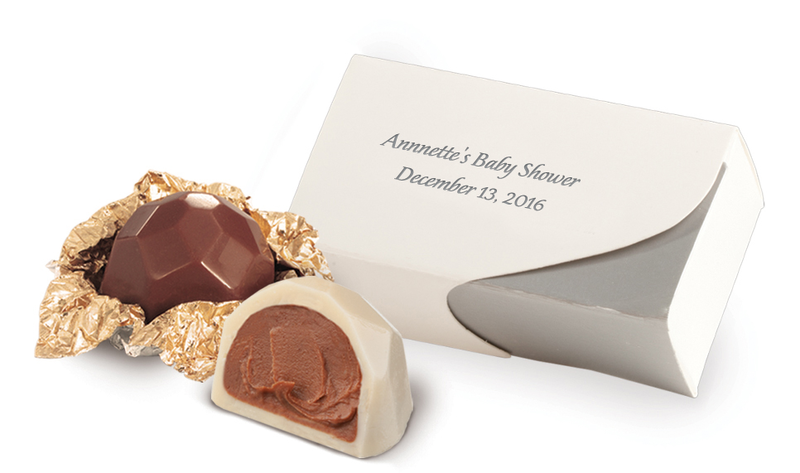 The cream color box has a personalized clear label with your text in brown or black. Your satin ribbon color choices are cream, pink, light blue, lavender, brown or black. 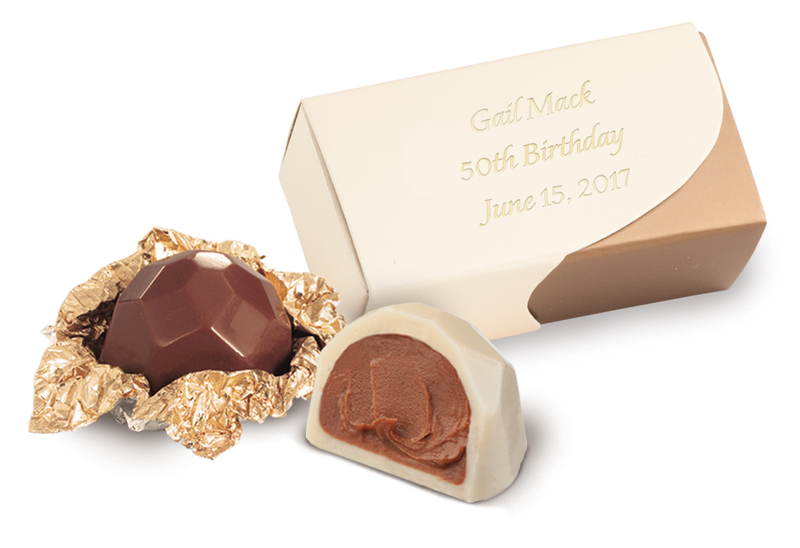 Chocolate truffle favors are made without preservatives of any kind; therefore, they are perishable and should be eaten within 1-2 weeks of purchase.